as a husband and wife team, we’ve worked in telecoms for a number of years, in fact, that’s where we met! expensive calls and lengthy contracts - remember those 7 year deals with BT? improve your work life balance by giving your business the freedom to be run from anywhere - we do - even whilst we’re travelling in our motorhome across Europe! 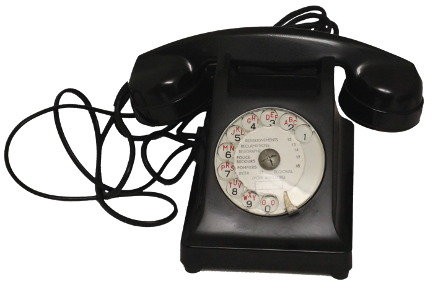 whether you remember Cilla Black and her Blind Dates or are more into Love Island... we help find you a "date", well in the telecoms world at least! because we remain in the relationship we often get referred to along the lines of "marriage guidance counsellors" and also "translators"
Started as a LinkedIn group, Geoff Shepherd wanted to get Yorkshire businesses trading more with Yorkshire businesses. The membership is now over 20,000. Geoff says "The Yorkshire Mafia brings together executives and stakeholders to meet, network, share experience, learn, build relationships and ultimately trade (where appropriate). All done in a relaxed and sales-free environment." With monthly meetups at Cafe Ollo in Huddersfield, this is a local group set up to help businesses within the Mid Yorkshire area engage with each other on a more regular basis. So spread the word and network with us and other local businesses both off and online. The MYnetwork founding partners are Ramsdens Solicitors LLP, Better Telecoms, The Media Centre and the Mid Yorkshire Chamber of Commerce. Huddersfield is an enterprising, innovative and forward thinking town, yet steeped in history, with many exceptional stories. 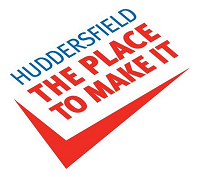 In fact, Huddersfield, it's the place to make it. It's the birth place of Rugby League, we've made footballing history, the world's largest nodding dog, the world's most expensive suit, the replacement glass for the London eye, and much, much more. And it's time to spread the word.